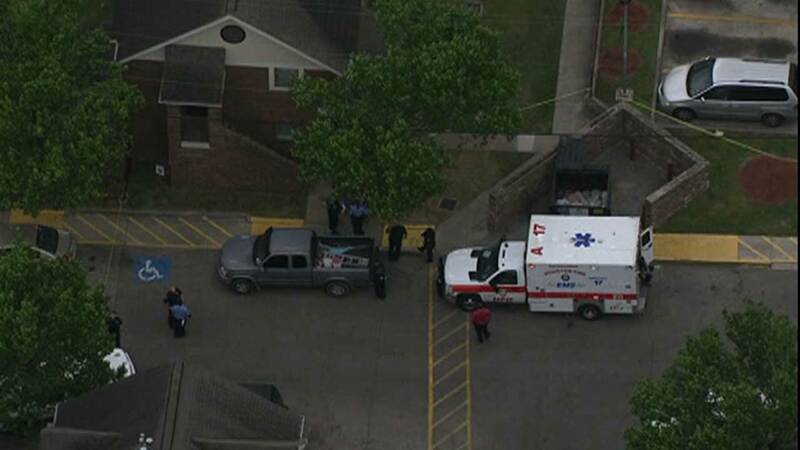 HOUSTON (KTRK) -- As children played outside the Clayton Homes public housing project on this Good Friday, a family began the task of retrieving children's' toys and clothing from an apartment that was a crime scene just one day ago. In unit 57, the body of Sandra Carpio, 24, was found early Thursday morning by her eight-year-old daughter. The woman had been murdered in her own bed. Carpio was mother to five children, ages one to eight years old, four girls and one boy. Her family describes her as a loving mom, who walked the children to school each weekday. The problem now is paying for a funeral that her family hopes will allow the children to realize their mother is gone, and allow them to say goodbye. "We never planned for anything like this," said Yolanda Wybel, aunt of Carpio's oldest child. "We just want to raise money for her mom to have the funeral, so her kids don't have to remember their mother that way." Even as the family struggled to find a way to pay for the service, Carpio's missing SUV, a Dodge Durango, was found off I-45 near Conroe. The truck was returned to Houston overnight and is now in an HPD evidence stall, being examined for evidence that could lead to Carpio's killer. Of particular interest is a man Carpio is said to have let stay at her apartment. He was described as homeless, but the night before she was killed, neighbors say he left after the two had a verbal confrontation. Another neighbor said she heard banging on the wall next door in Carpio's apartment around 1am Thursday, then silence. An HPD spokesman says police are actively investigating the case, but no arrests have been made. Carpio's children are living with their extended family. One relative said he left a rosary at her door. "Just to let her know she won't be forgotten," he said.